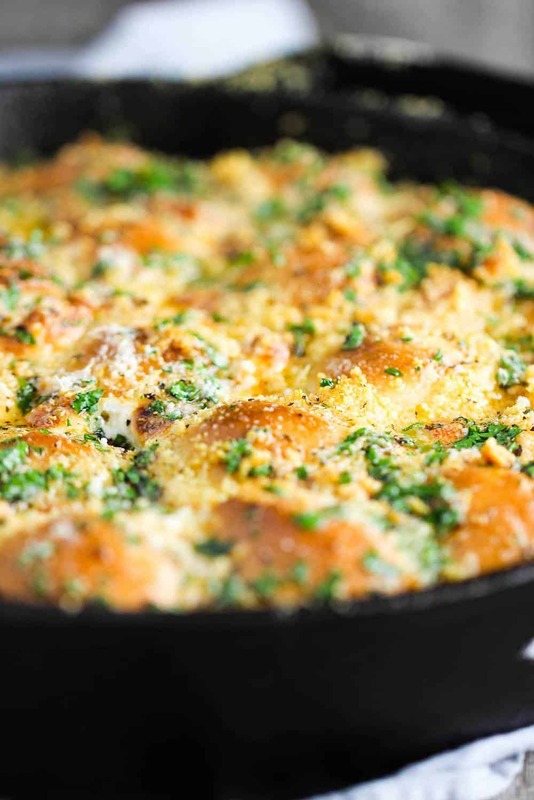 Cheesy Skillet Rolls are nothing short of sublime. The smell, as they are baking, is intoxicating. 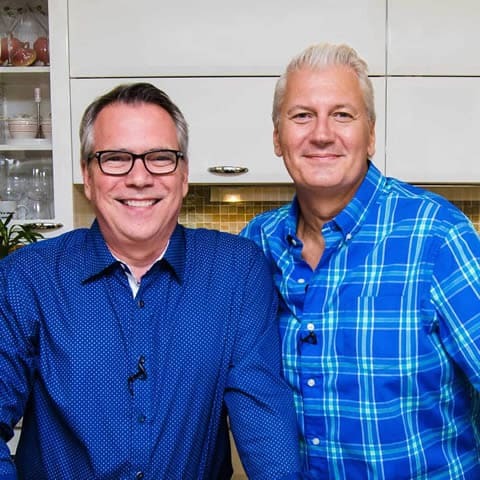 Then once you pull that first warm and cheesy roll out of the skillet and take a bite…you will be transported to a place that dreams are made of. I love cooking in my cast iron skillet, and these are about as delicious as they come. This is a recipe that I got from one of our favorite publications of all time: Southern Cast Iron Skillet. 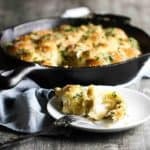 I love making homemade bread, and starting with a dough made-from-scratch puts these cheesy skillet rolls over the top. Just give yourself a couple an extra hour or two, and you will be so glad you made these rolls from scratch. 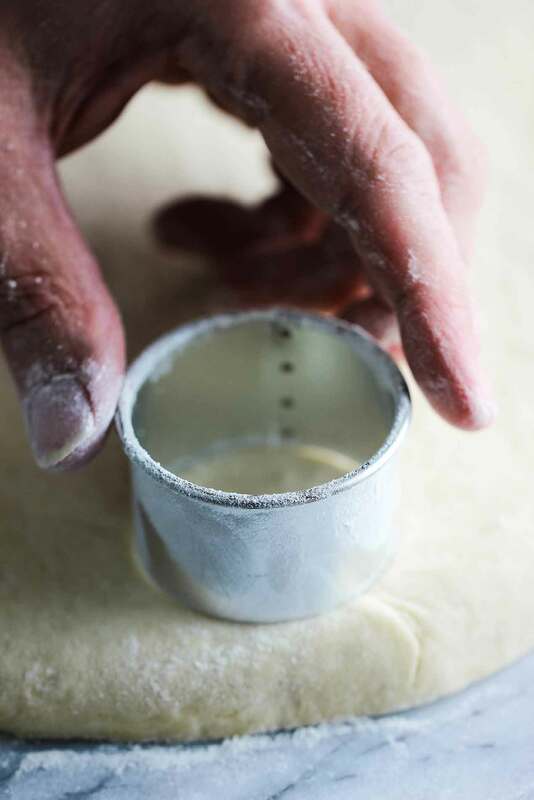 Once the dough has doubled in size, roll it out onto a lightly floured surface. 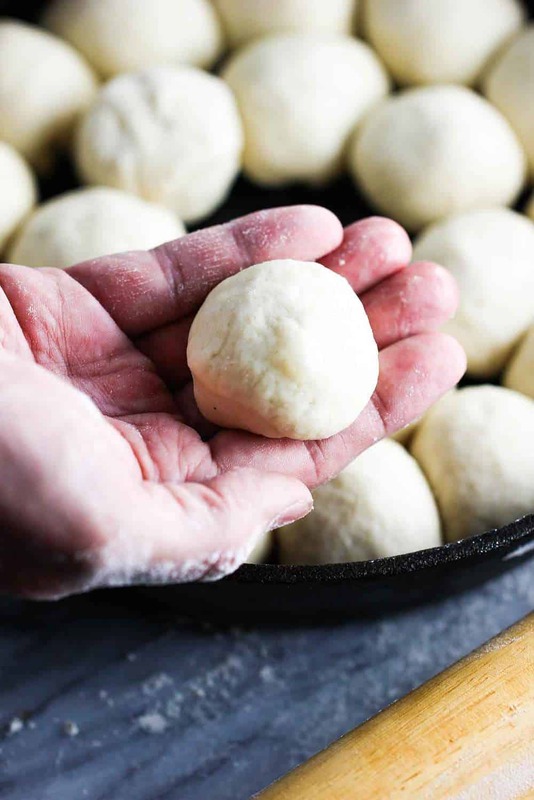 Grab a 2-inch round cutter and cut discs for forming the dough balls. You are getting very close to having amazing homemade cheesy skillet rolls. Now, all you have to do is take a disc and simply grab a pinch of fresh mozzarella (or any good melting cheese like Fontina, or Swiss) and wrap the dough around it. Use your fingers to seal the edges and then gently mold it into a circular ball. Place in the skillet and continue. And then, into the oven they go until all golden and melty…and heavenly. Now it’s time to add some seasoning, butter and little more cheese (just for good measure) and bake just a little longer to lock in all that flavor. 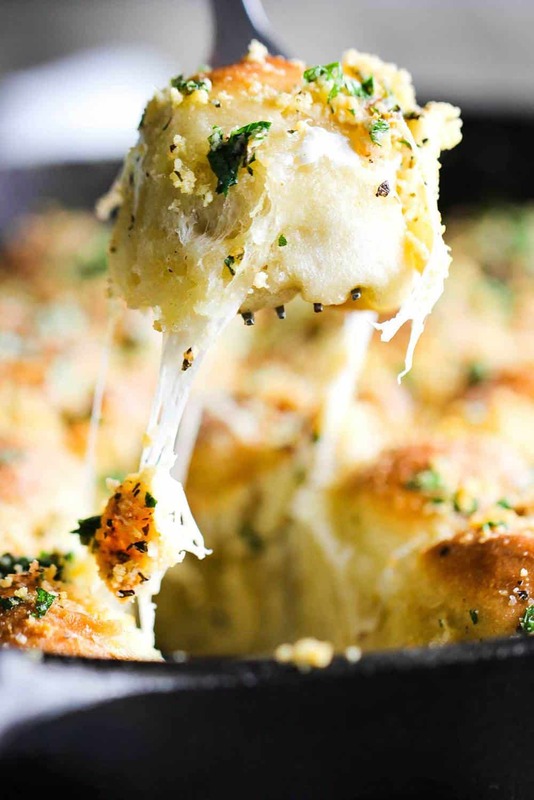 Oh my goodness are these cheesy skillet rolls absolutely amazing. Get ready to ‘wow’ your family and friends when you bring this skillet of incredible yumminess to the table. 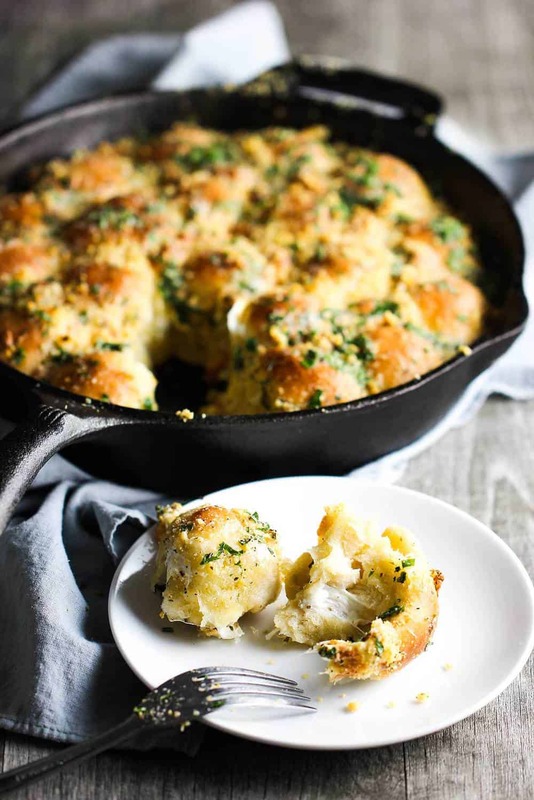 As you pull the first roll from the skillet, the ‘oohs’ and ‘ah’s will surely fill your home, as much as the incredible smell of fresh baked bread with a hint of herbs and garlic does, too. Cheesy Skillet Rolls are something to remember. I’ve really been into baking amazing breads, rolls and breakfast goods lately. If you think these rolls are good, and trust us, they are to die for, you might also want to consider making our Homemade Southern Biscuits…they are spectacular. What more is there to say about these cheesy skillet rolls, other than you must make these for yourself. The Loon has labelled them as one of the best things he’s ever tasted from a cast iron skillet. Can you blame him? Just look at these Cheesy Skillet Rolls! 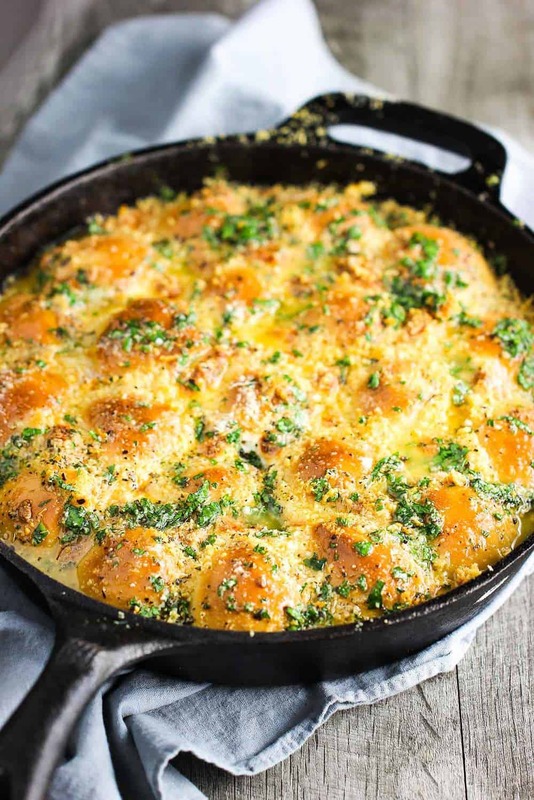 These easy Cheesy Skillet Rolls are absolutely amazing. The smell is intoxicating and the ooey gooey cheesy garlicky yumminess of these freshly made rolls is something your loved ones will be talking about for days to come. You won't believe how easy they are to make! 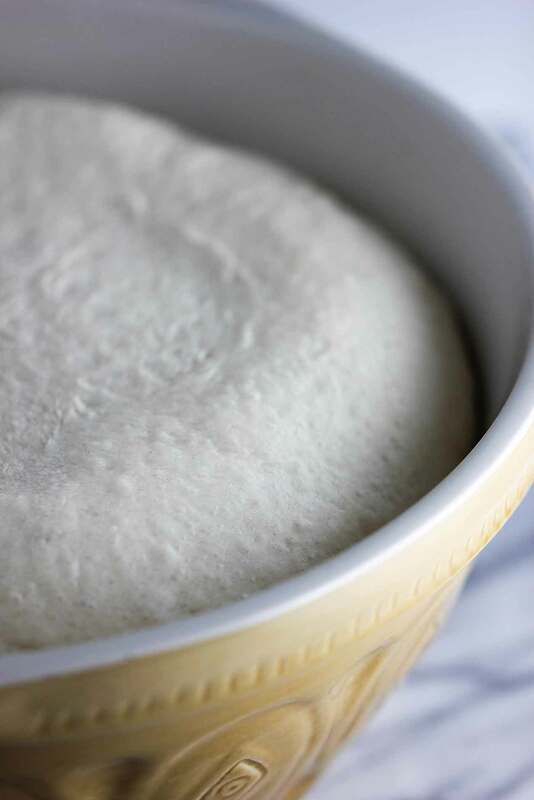 In the bowl of a stand mixer with the dough hook attached, combine flour, yeast, 2 teaspoons salt, and sugar. With mixer on low speed, gradually add 1 1/4 cups warm water and oil beating until combined. Increase mixer speed to medium, and beat until smooth and elastic, 7 to 10 minutes. Spray a large bowl with cooking spray and place dough in bowl, turning to great top. Cover with plastic wrap, and let rise in a warm, draft-free place (about 75°F) until doubled in size, about 1 hour (but could be longer). Spray a 10-inch cast iron skillet, or 9-inch baking pan, with cooking spray. On a lightly floured surface, roll dough to 1/2-inch thickness and using a 2-inch round cutter, cut dough, re-rolling scraps as necessary. Pinch off a piece of mozzarella that is about 3/4-inch in diameter. Place 1 piece of the pinched-off mozzarella in center of each round and wrap dough around cheese, pinching seam to seal. Place dough rounds in prepared skillet, seam side down. Place smaller pinches of mozzarella between rolls, filling any holes. Shred, or pull apart, the remaining cheese and sprinkle all over the top of the rolls. Bake for 20 minutes. Sprinkle with Parmesan and bake 5 minutes mores (or until golden brown on top). 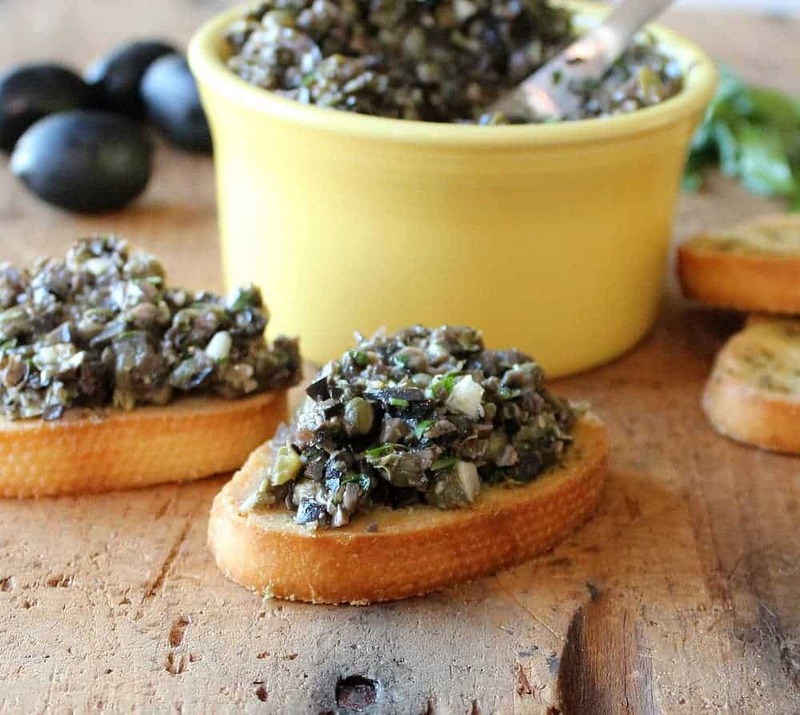 In a small bowl, stir together melted butter, parsley, oregano, basil, garlic powder, and remaining 1/2 teaspoon salt. Brush rolls with butter mixture and then serve immediately. Omg good!!! Thank you for sharing!! !